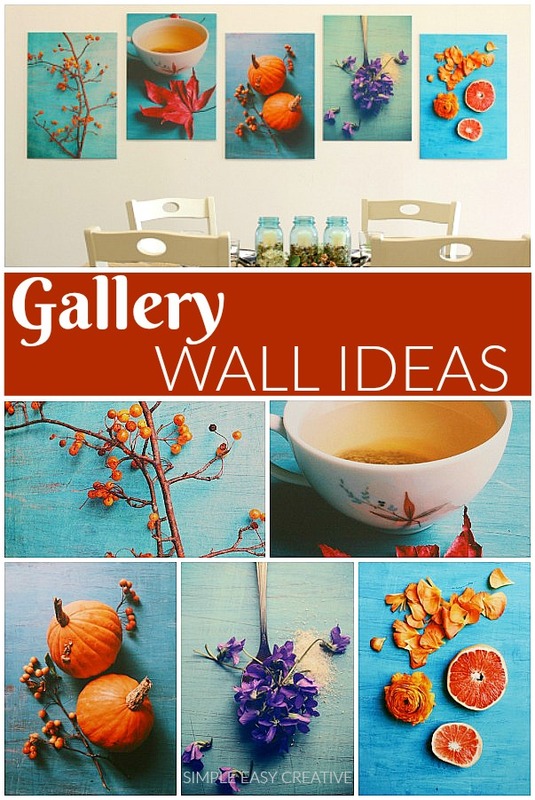 Using these Gallery Wall Ideas, you can create a special spot in your home in minutes! 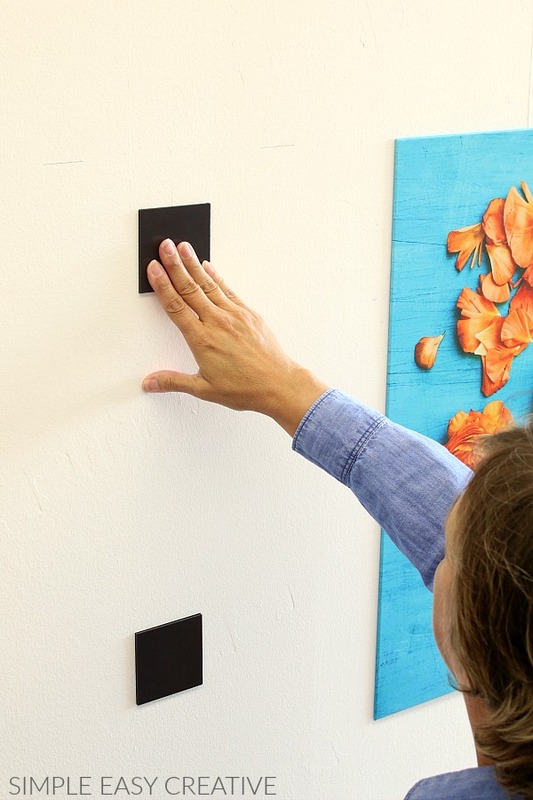 And tailor the look to exactly how you like easily and without making any holes in your wall. This project is brought to you by Displate. As always my opinions are my own. While I love the new year for setting goals, the Fall season is my favorite for giving the rooms in our home a little makeover. And with the holidays coming, I also want to get our home ready for guests. I have been wanting to create a gallery wall layout for a while now, however, I wasn’t quite sure what I wanted to do. And frankly, I thought it would be difficult to create. Since I like to change things in our home often, I was also a little concerned that I would go through all the work of hanging the pictures and then decide later that I wanted to move them around or switch them to a different area of the house later. And then I was introduced to Displate and my worries were all gone. I could decorate with these easy to hang thin metal posters, and if I got tired of them, they have thousands more to choose from that will fit my style or any style that I might decide on in the future. 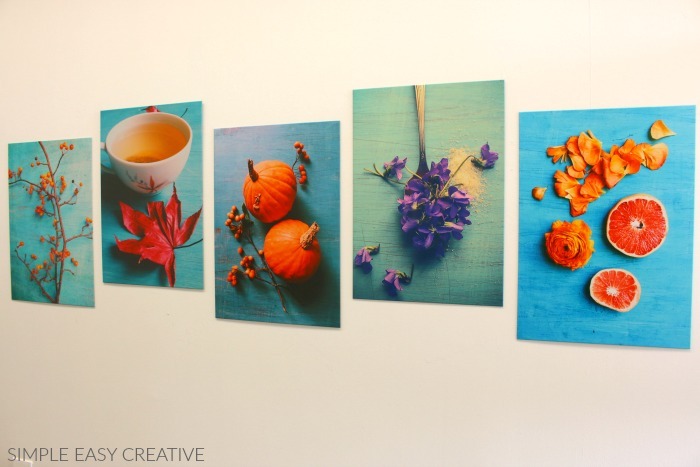 Having the look of real photographs that can be changed within minutes for the seasons or when you just need a different look in your home, is amazing! What’s a Displate you ask? Since being founded in 2013, Displate has added over 145,000 designs from 8200+ artists in 85 countries. And the coolest thing is that they are making a positive impact on the world and have saved over 6 million trees. 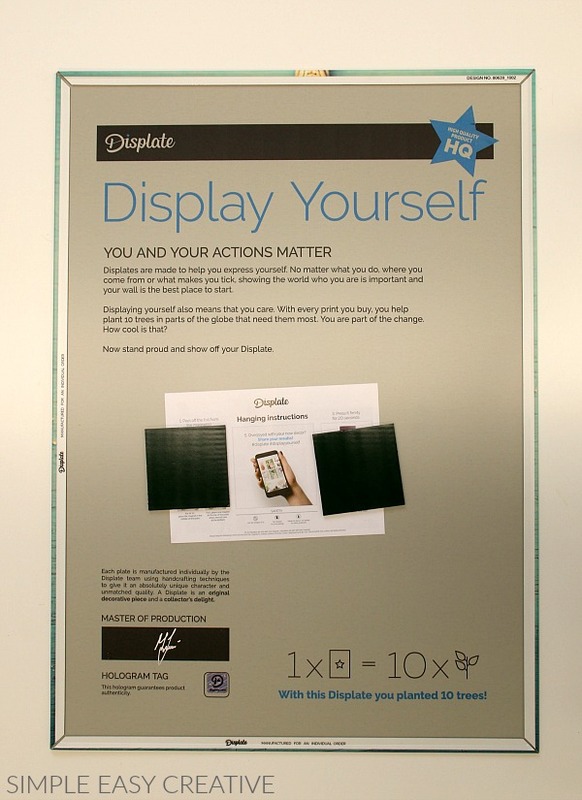 By purchasing 1 Displate, you plant 10 trees. 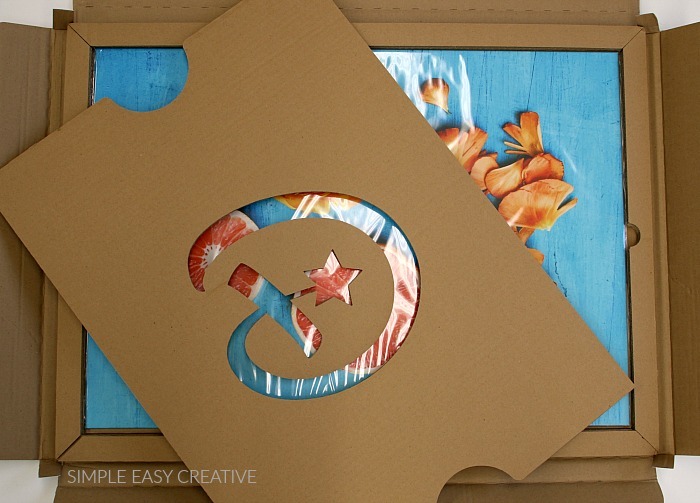 A Displate is a magnet mounted print made from thin metal. It’s durable and you don’t need any power tools to hang them. 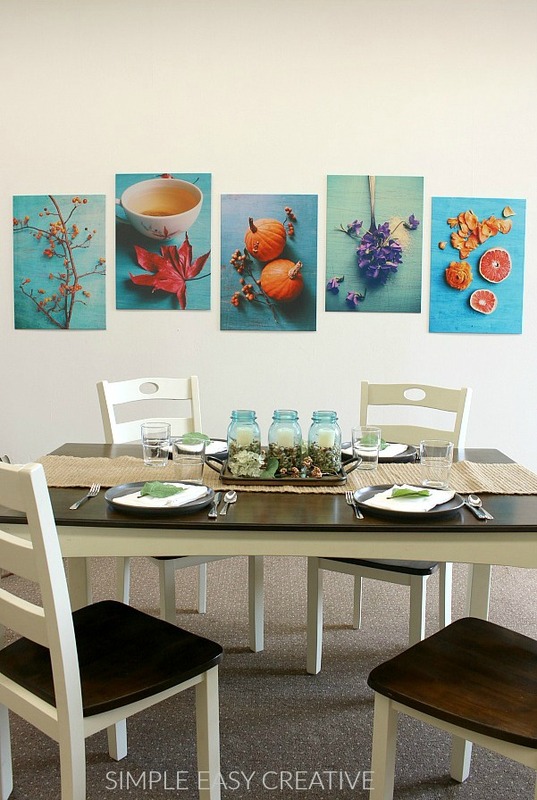 They add creative art from talented artists to create wall art canvas. Each of the thin metal posters are designed by talented artists from all over the world! 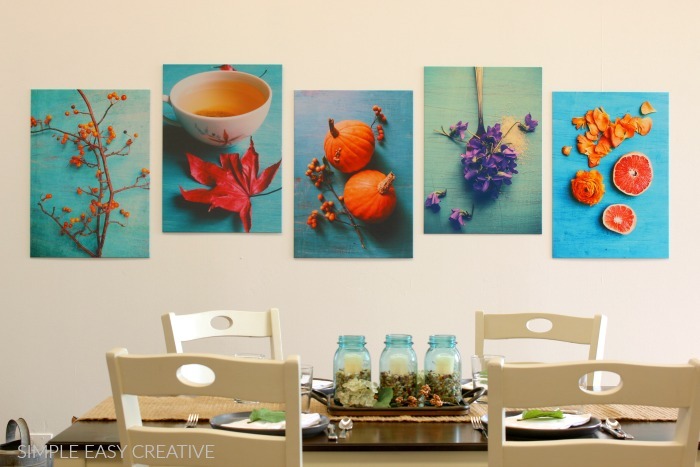 We chose 5 posters that would go well in our dining room and had a bit of a Farmhouse style. Since our table and chairs are neutral colors, as well as the walls, we wanted to add a pop of color. We chose to hang the wall art in gallery form, but you can easily set a piece on your desk or even mantel for a super easy way to decorate! The posters fit neatly in the box for shipping, and they were delivered within a few days of ordering them. On the back of the poster, they have clear directions for mounting with the magnetic squares. I’ll have to say, this is by far the easiest way we have ever hung anything on our walls. Typically, Doug gets out the 4-foot level, measuring tape, a smaller level, pencil, tape – the list goes on and on. It’s quite the production, and honestly, sometimes it becomes quite the chore just to hang the pictures on the wall. But this time was different, in about 1 minute, we had the magnetic mounting square on the wall and the thin metal posters hung. 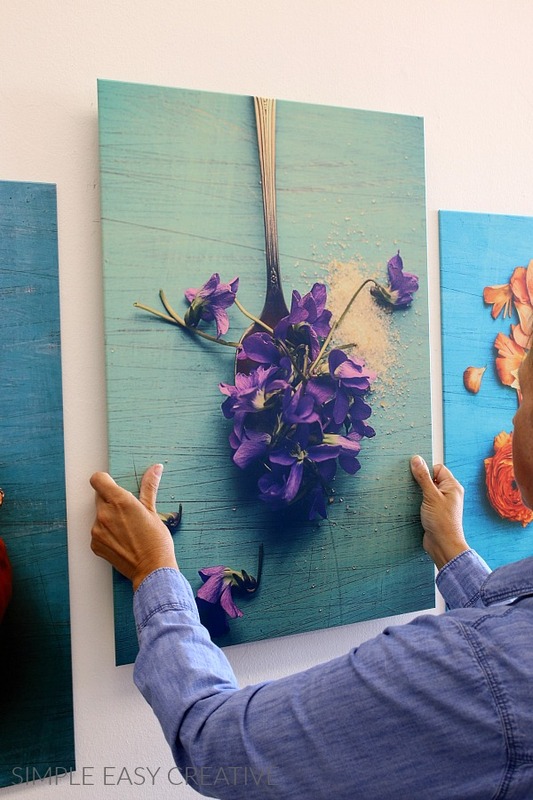 After you determine where you want your metal posters to hang, simply peel off the backing and adhere the magnetic mounting square to the wall, pushing and holding it there for about 30 seconds. The placement of the magnet doesn’t have to be perfect since it’s super easy to move the posters where you want them. We originally hung the poster all in a row, but then decided they might look good with a couple of them moved. Since they are on magnets, it was super easy to lift them and move them. Whether you are decorating your kitchen, dining or living room, or adding a fun print to a college dorm room, these thin metal posters are a great addition. The collection we chose is the Still Moments Collections from Artist Olivia StClaire. They are all the same dimension (Displate size: L) 26.6 x 18.9 inches. The artwork also comes in medium and extra-large sizes as well as Multiplates that form a single photo. The first poster with the orange berries is called “She Hung Her Dreams on Branches”. I have been dreaming a lot lately! The “Retro Tea” poster symbolizes my morning cup of tea on the deck. The next one is “Rustic Autumn Pumpkins”. This one is perfect for Fall, and the posters are super easy to change out for the seasons. “Sweet Violets” is next, this photo reminded me of the hours that I would sit and pick violets as a young girl. And last is “She Made Her Own Sunshine” because don’t we all want to be happy and full of sunshine?